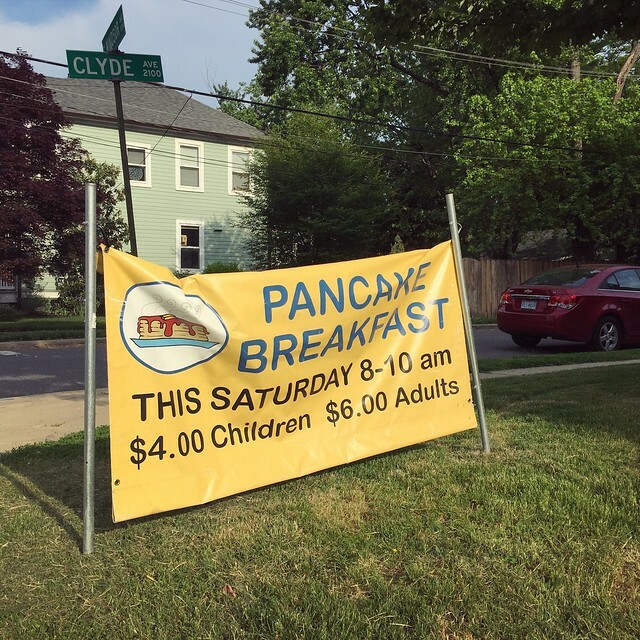 For years, I have walked past the giant yellow banner at the corner of Windsor and Clyde Avenues announcing the pancake breakfast at the Del Ray United Methodist Church, always intrigued. 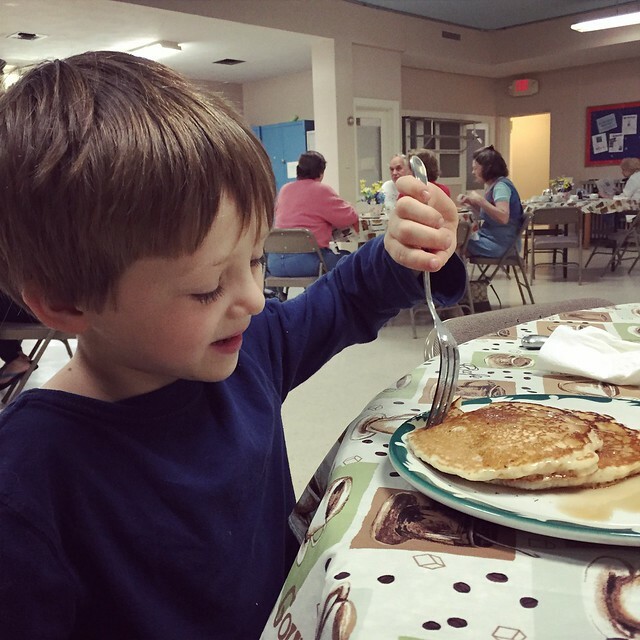 And finally, the thought of an all you can eat stack of pancakes slathered with maple syrup was too delicious to refuse. 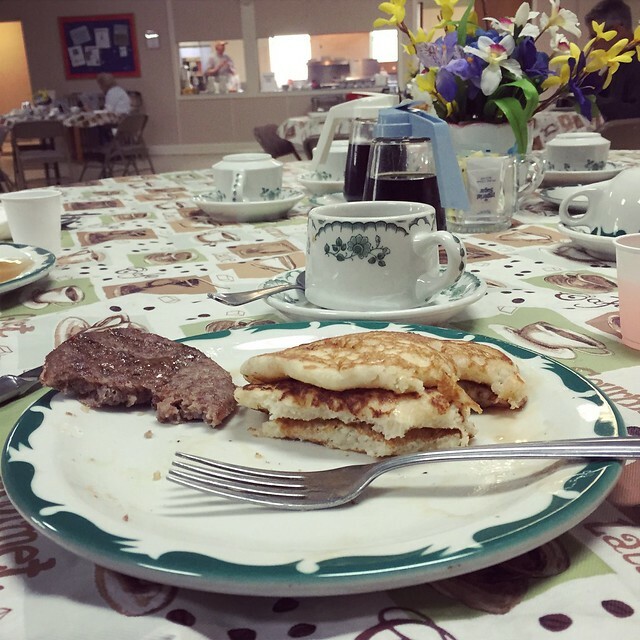 We stopped by last Saturday morning to feast. 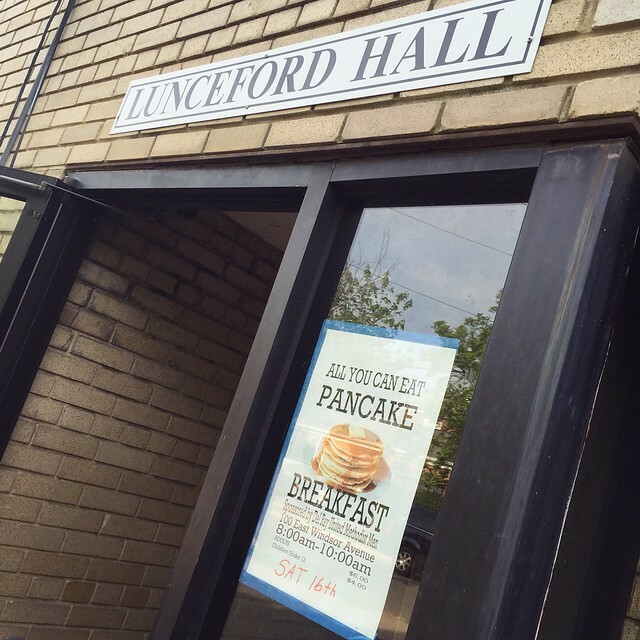 Volunteers host the breakfast the third Saturday of every month in Lunceford Hall, located in the basement of the church. 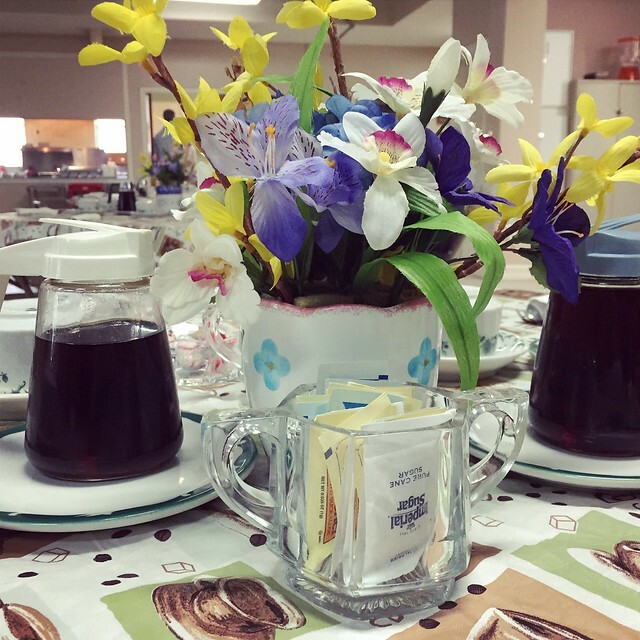 All proceeds benefit the church’s ministries. We aren’t members of the church, but happy to support a charitable cause. 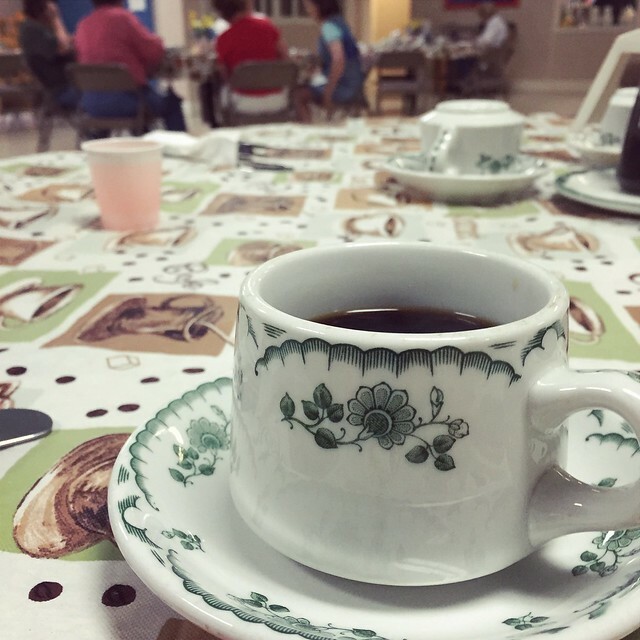 After paying our way, we sat down at one of the six round tables, each pleasantly adorned with a tablecloth, centerpiece and all the pancake accoutrements. One of the many friendly volunteers came around with coffee for me and juice for the kids. Followed shortly by a warm stack of pancakes and sausage. 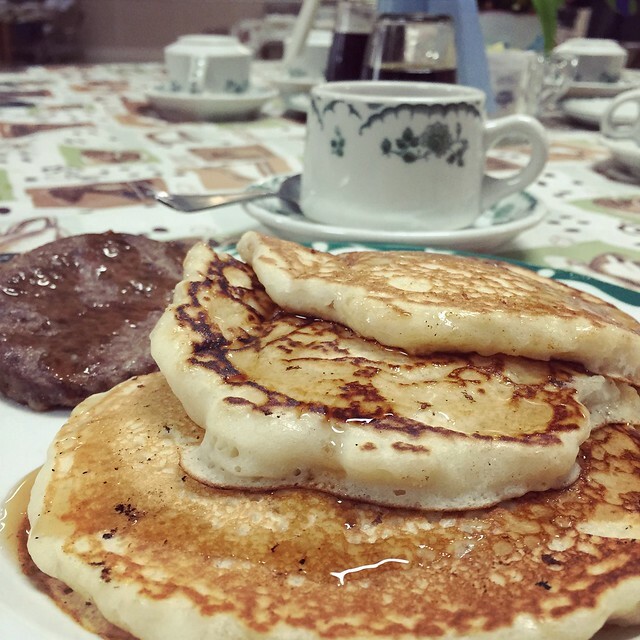 Devoured quickly, pancakes are a great way to start a weekend. We’ll be back for sure.